This article was updated at 2:54 p.m. EST. 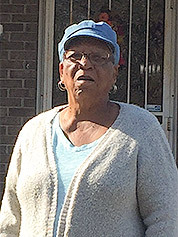 BIRMINGHAM, Ala. — When Johnnie Mae Parrish was growing up on the northern edge of this city, the air pollution from nearby industries was so foul that she slept with a wet washcloth over her nose. Decades later, many of those plants are gone. But to Parrish, a 69-year-old retired nursing assistant who lives across the street from her childhood home in Collegeville, a largely African-American enclave, the wounds linger. She still suffers from asthma, her fading neighborhood is part of a Superfund site, and she fears that airborne soot attributed to companies still in business continues to taint her property. A few years ago, EPA unveiled plans for prioritizing a cleanup in her neighborhood, where the soil is laced with lead, arsenic and hydrocarbons. But Drummond Co. Inc., an influential coal firm eager to skirt financial responsibility, orchestrated an opposition campaign. A large chunk of Alabama's political establishment backed the energy company. To Parrish, the power of corporate money is one factor behind the delay. She also sees a more elemental force at work. "It's definitely a race issue," she said last weekend, touching her dark brown arm for emphasis as several grandchildren played in her front yard, which has had contaminants removed. "Everybody treats this community bad." In a city with an enduring tradition of racial tension, those concerns have a history too. In 2015, other residents filed a civil rights complaint asking EPA to cut off funding for the county health department after it renewed the air permit for a Drummond coke plant. The department, they alleged, was allowing plant emissions that had a "disparate impact" on black people living nearby. EPA has yet to act on that languishing complaint. Now, questions of unequal treatment are flaring again following a corruption scandal that ensnared a Drummond executive, a prominent attorney and Trey Glenn — who just stepped down as head of EPA's Southeast regional office. While "poor, black people" have been dying of pollution-related causes for years, their plight is getting fresh attention, said Richard Dickerson, who worked for EPA as a political appointee during the Clinton administration and is now a consultant in Birmingham. "This is a very serious issue, much more serious than it's being treated," Dickerson said. State and local regulators aren't convinced. 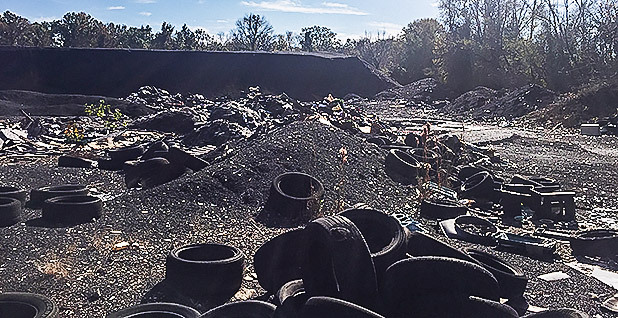 Four years after EPA first sought to add the north Birmingham Superfund site to its National Priorities List, the plan is in "purgatory," said Michael Hansen, a local environmental activist. The Alabama Department of Environmental Management (ADEM), citing county data that show no statistical differences in death rates from cancer and other diseases, remains opposed, spokesman Jerome Hand told E&E News in an email yesterday. National Priorities List designations "should be based on the scientific facts associated with the site, not demographics," Hand said. In a separate message, Dr. Mark Wilson, head of the Jefferson County Department of Health, voiced confidence that the last coke plant permit renewal "was consistent with applicable law and protective of all residents." With the permit again up for reauthorization this year, the department is taking extra steps — such as lengthening the public comment period from 30 to 90 days — to make sure people can have their voices heard, Wilson said. 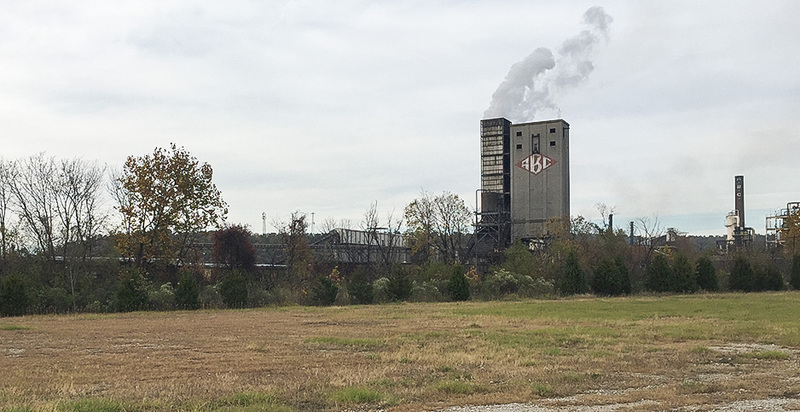 The plant at the center of the controversy, known as ABC Coke, has been a smoke-belching fixture of Birmingham's landscape for a century. Following a criminal trial this summer, a federal jury convicted the Drummond executive, David Roberson, and Joel Gilbert, who had been a partner in the law firm of Balch & Bingham LLP, of bribing a state lawmaker to oppose the Superfund National Priorities List proposal. Listing the site could free up more money to further the cleanup already underway. It might also leave Drummond — which the federal government has named as one of the companies that may bear responsibility for the contaminated soil — on the hook for millions of dollars in cleanup costs and fines. Drummond, a privately held corporation headquartered in Birmingham, has long been an influential player in Alabama politics, known for hard-knuckled tactics and generous campaign contributions. In startling detail, however, the roughly three-week trial showed the degree to which Alabama politicians were willing to do the company's bidding. Then-Gov. Robert Bentley (R), most of the state's congressional delegation and a majority of state legislators went on record against the proposed NPL listing. In an October 2014 letter, for example, six of Alabama's seven House members voiced concern that the EPA proposal "is unsupported by reliable evidence and that it may undermine economic development in the area." That letter was drafted by Gilbert, federal prosecutors wrote in a recent sentencing memo. Five of the lawmakers who signed the letter remain in Congress. They include Reps. Robert Aderholt (R), an 11-term lawmaker who chairs the House Agriculture Appropriations Subcommittee; Mike Rogers (R), a senior member of the House Homeland Security Committee; and Bradley Byrne (R), who joined the House in 2013. Campaign finance records show that all had previously received thousands of dollars in contributions from Drummond and Balch & Bingham. Spokespersons for the five did not reply to emailed questions this week asking whether those contributions played a part in their respective decisions to take up Drummond's cause. The lawmaker who didn't sign the letter was Rep. Terri Sewell (D), the delegation's sole black member. A Sewell spokesman also did not respond to an email asking why she did not sign on. Glenn, a former ADEM director, was then a private consultant closely involved in the Drummond campaign (Greenwire, July 2). Billing records show he was paid $250 an hour as a consultant. His firm, Southeast Engineering & Consulting LLC, reaped more than a half-million dollars from its work for the company in 2014 and 2015, according to the records, made public as trial exhibits. Glenn, who was not federally charged, said on the witness stand that he had been unaware of any potential illegality. Earlier this month, however, he and a partner in the consulting firm were indicted for allegedly violating the state ethics law, according to a two-paragraph news release from the Alabama Ethics Commission. The actual indictment, only made public today, shows that Glenn is charged with conspiring with Scott Phillips, the partner, to misuse state resources and solicit a bribe in connection with their work for Drummond. Phillips at the time was also a member of the board that oversees ADEM. 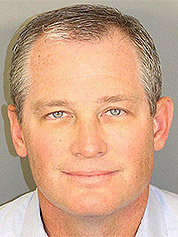 Glenn faces a mix of felony and misdemeanor charges, a court summary shows. Glenn, while strongly asserting his innocence, quit his EPA post over the weekend. "I intend to focus on my family, fight these unfounded allegations and ultimately clear my name," he said in his resignation letter, posted online by AL.com, a news website (E&E News PM, Nov. 19). Collegeville, reportedly named for a school that was not an institution of higher learning, is one of three mostly black communities covered by the Superfund designation, encompassing about 2,000 properties in all. The area is embedded in what was once a sprawling heavy-industry hub that was home to manufacturers of pig iron, pipe and coke. The last is a coal derivative used by steelmakers and foundries. 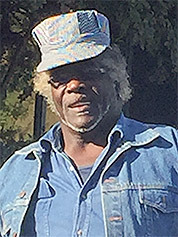 The black workers who supplied the bulk of the labor mostly lacked cars so they had to live nearby, said Vivian Starks, born in the area in 1940 and now the president of the Collegeville Neighborhood Association. Further hemming them in was the rigidly enforced code of racial segregation in place at the time. Asked whether that legacy continues to reverberate in the pollution controversy, Starks said, "Of course it does." "If we can put a man on the moon," she asked, "why the devil can't we do something about these emissions?" Of the people living in Collegeville's ZIP code, about 90 percent are black and almost half live below the poverty line, according to U.S. Census estimates. Although Starks' relatively new home is handsome and immaculately furnished, the neighborhood is studded with vacant lots and sagging houses. Children are scarce, she said. As elsewhere in Birmingham, air quality was abysmal before the passage of pollution control laws. "Man, in the evening time, it would just rain soot and stuff down on your car," said Charlie Powell, a former resident who now heads People Against Neighborhood Industrial Contamination (PANIC), an advocacy group that's seeking government help to buy out any homeowner who wants to leave. "You'd have to wash it every day." Under EPA's hazard ranking system, an area must score at least 28.5 to qualify for inclusion on the National Priorities List. The Birmingham site merited a 50, the agency said in making the 2014 proposal. Since then, cleanup has been underway, with recent work demarcated by the orange mesh fencing that rings some yards. For yards with soil contamination levels above a certain threshold, an EPA contractor will typically go up to a foot deep and replace the tainted dirt with fresh soil. Of the almost 700 properties so far found to warrant that treatment, about 400 have been cleaned up, according to an agency website. While Parrish and other residents were generally satisfied with the caliber of the cleanup, they question how much long-term good it will do if the soot-forming emissions that they attribute to ABC Coke and other plants are not addressed. Their view is shared by Lois Gibbs, a longtime activist and founder of what is now known as the Center for Health, Environment & Justice. Without curbing pollution from other sources, "the area will just become re-contaminated," Gibbs, who has been working with Powell, said in an interview. James Pinkney, a spokesman for EPA's Southeast regional office, didn't dismiss those concerns. However, the majority of contamination found so far comes from "fill dirt" brought in by neighboring industries, Pinkney said in an interview. EPA press aides in Washington, D.C., didn't reply yesterday to emailed inquiries about the current status of the NPL proposal or the 2015 civil rights complaint. The anger unleashed by the Drummond scandal was on sometimes raucous display Thursday at a public hearing on the Jefferson County Department of Health's bid to renew the ABC Coke plant's air permit with no changes. Some 70 people packed a drab conference room in downtown Birmingham. Of the approximately 20 who spoke, all opposed reauthorizing the permit in its current form. The voices of some quavered as they recalled family members and others who fell ill or died from causes that they blamed on pollution. "It is clear that there are parts of this city that are disproportionately affected by emissions from industry plants," said the Rev. Jennifer Sanders, a white minister. "If this is acceptable, why is there no ABC Coke in Mountain Brook?" Sanders asked, referring to a virtually all-white Birmingham suburb that ranks among Alabama's wealthiest areas. Drummond and other companies "think we're worthless," said Tammie Smith, a bus driver. The coal firm's efforts to avoid cleanup costs were "despicable," said Brita Brudvig, a life insurance company actuary. "I sincerely hope that you prove that this body is not another thing that has been bought out by Drummond and Balch," Brudvig told the two health department officials presiding over the hearing. Parrish, down with the flu, didn't attend the hearing. Later, she questioned what more anyone could do. "It's almost like a Band-Aid's been put on everything," she said, "and it's still bleeding."